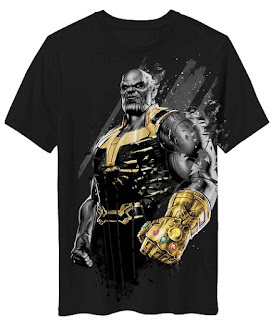 Superhero lovers can now watch out for the new Avengers collection inspired by the upcoming American superhero film “Avengers: Infinity War” that will be exclusively available on Myntra. The collection consists of a line of exclusive graphic tees celebrating fandom with Superheroes from the Marvel universe coming together to create the biggest and most exciting movie merchandise for Avengers Infinity War. Through this collection, all the powerful characters gel together with a strong graphic handwriting offering a special collection for the superhero followers. Mostly in shades of black, white and blue, it covers individual characters like Iron Man, Spider-Man and Thanos to logos, quotes and statements. The movie takes a serious note with its music, scenes, monologues and fights. Keeping in parity on the same lines, the collection comes across as bold and expressive. The collection is much more than plain graphic tees and through this range the fashion quotient gets geared up to the next level with the execution of specialized techniques like digital print, high definition print, flock print, HD gel print, & foil prints. The Infinity War collection is set to make a mark in fashion and will be exclusively available on Myntra.